It seems that Google may have snuck one more touch of magic into this week’s Google App update. 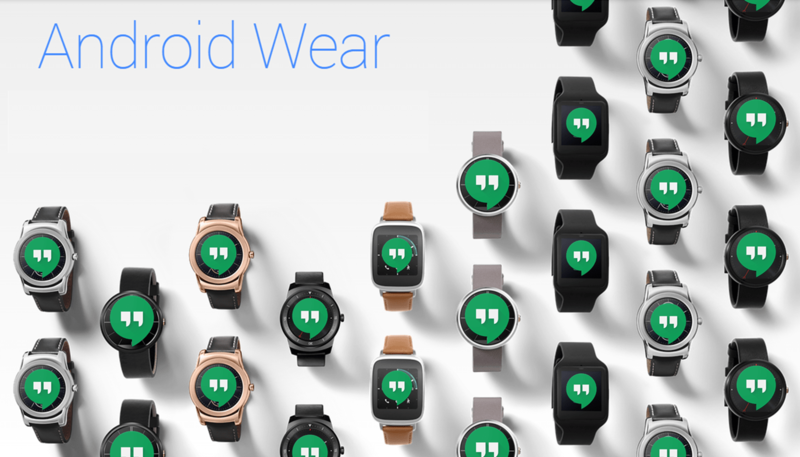 Along with the extended functionality of voice messaging to 3rd party apps Android Police readers noticed that simultaneously with the update users of Google’s Hangout messaging service were able to initiate a Hangout message via their Android Wear device using voice input. Initially, this was thought to be a component of an expected Hangouts 4.0 release, but it appears that was not the case. In a previous update to Hangouts, Google added the ability to initiate a Hangout via voice on a mobile device but this is the first time it is possible to use a voice command to instigate a Hangout message adding to the existing functionality of text messaging via the Hangout app on Android Wear. Its not all easy streets though as some users reporting inconsistent results with the functionality. In our own testing, we have found that it is essential to have the e-mail address of your intended recipient saved against their name in Google Contacts for the voice command to work regardless of having an active Hangout with someone. In some instances this didn’t work, we found listing their emails address against Hangouts as an IM client in Google Contacts also seems to get the function working. Google’s Hangouts messaging service has had a maligned history since its much-suspected launch at Google IO 2013. The Hangouts platform has struggled through app performance issues, missing feature sets, and fierce competition from small and large competitors such as WhatsApp (which was purchased by Facebook in 2014), Facebook Messenger, Line and Telegram (our internal choice here at Ausdroid) to name but a few. At its core Hangouts is more than just a traditional instant messaging platform. The Hangouts on air video functionality which is one of the first of its kind, with YouTube broadcast capability has quickly made Hangouts a popular choice for video podcasts. Our very own Ausdroid Podcast is produced using the platform. However with other feature like Helpouts recently being deprecated by Google it is difficult to see Hangouts as a standout product. What do you think, is this enough to stop you migrating away or to pull you back into using Hangouts as your daily messaging driver? Superb, I hope so they given application are indeed wonderful to use..